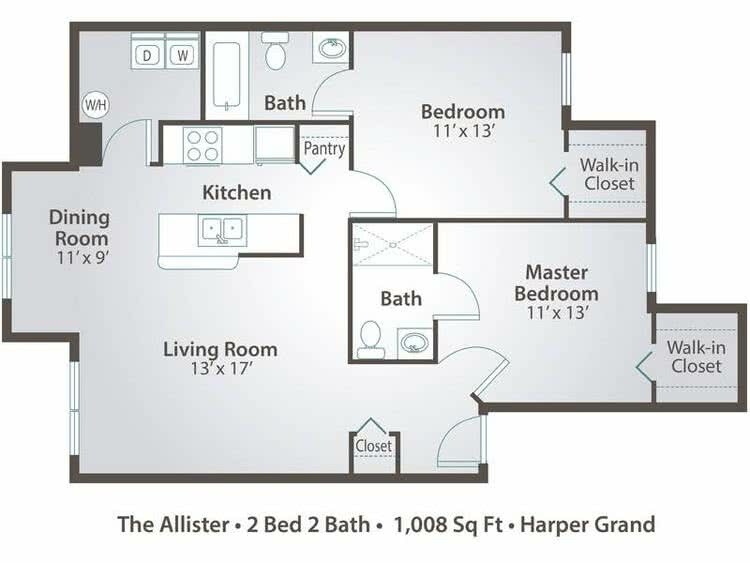 The Allister is our extremely popular two bedroom two bath floor plan featuring walk-in closets and private bathrooms in both bedrooms! The kitchen opens to the living room and dining room, offering endless design possibilities. Enjoy your own private laundry room fully equipped with washer and dryer in this 2 bedroom apartment for rent in Orlando, FL. 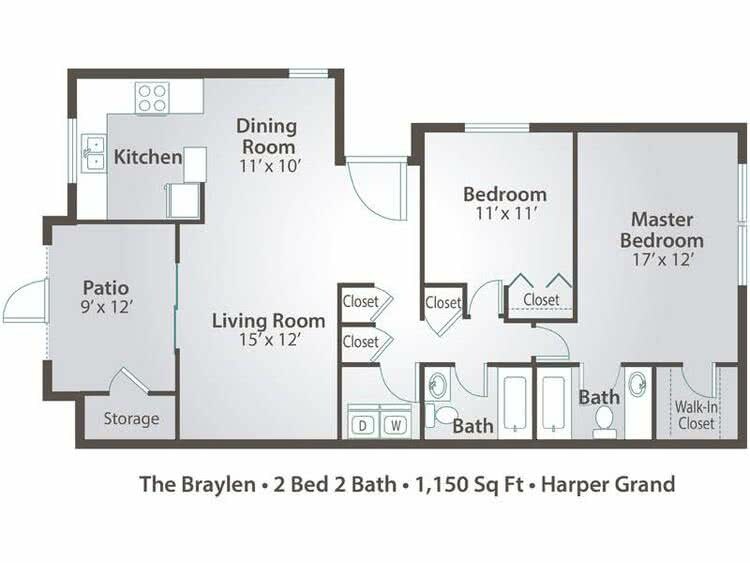 The Braylen is our exclusive two bedroom two bathroom floor plan offering a wealth of fantastic features! You’ll be greeted by a grand foyer, and walk into an open dining and living room space complete with glass sliders leading to your private screened porch, perfect for relaxing. 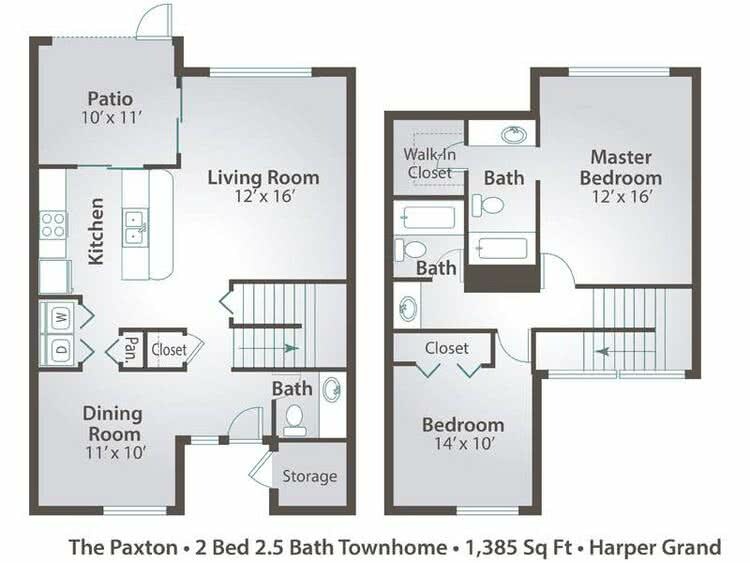 Modern kitchen, washer and dryer appliances, walk-in closet, two full bathrooms and additional storage make this a wonderful apartment to call home! The Paxton is our only two bedroom townhouse style apartment offering two levels of fabulous living space. Greeted by a foyer, you’ll enjoy the oversized living space, separate dining room, half bathroom and large kitchen with natural light pouring through the glass sliding doors leading to your very own private, screened patio. You’ll appreciate your own private laundry room fully equipped with washer and dryer. Upstairs you’ll find your generous sized bedrooms and two full bathrooms.